Take a look at this collection of Beautiful Humming and Flower Themed Wedding Invitations. You will find a few different styles and colors for formal and semi-formal weddings. Select each custom wedding invitation to view additional details and personalize. 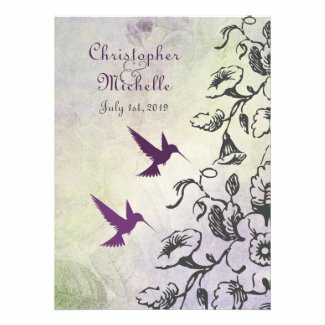 For custom wedding stamps take a look at Hummingbird Themed LOVE Postage Stamps.